Stagecoach has announced that VRG has now agreed a new West Coast franchise with the DfT. It will commence on 1 April 2018 and run potentially until 31 March 2020, with the final 12 months at the DfT's discretion. The contract includes substantial planned premium payments to the DfT as well as revenue and profit share arrangements with the DfT. VRG expects to make a modest profit margin under the franchise. 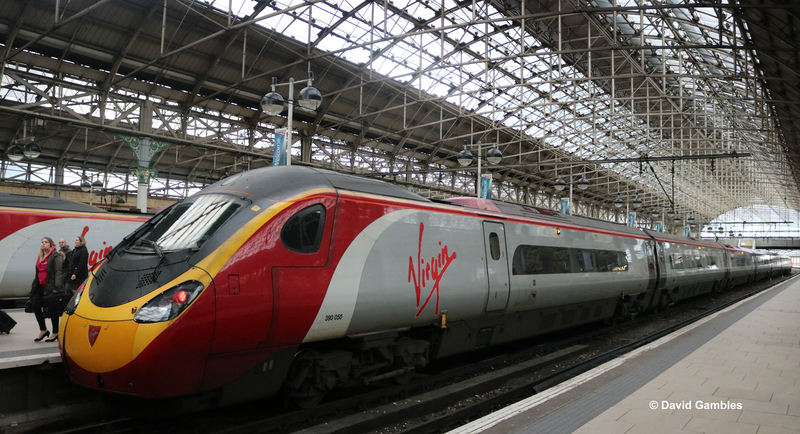 Stagecoach, Virgin Group and SNCF, bidding as West Coast Partnership Limited, have been shortlisted for the West Coast Partnership franchise. Stagecoach has a 50% share in the bid vehicle, with a 30% share held by SNCF and the remaining 20% owned by Virgin. The DfT plans that the franchise will include current West Coast services and the first few years of operation of High Speed 2 services.